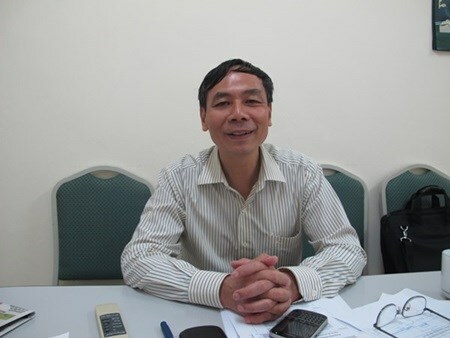 Hanoi (VNA) – Nguyen Van Thach, Head of the Traffic Safety Department under the Ministry of Transport talks with online newspaper VietNamNet about traffic jams. * In 2015, traffic jams in Hanoi and HCM City have become more and more terrible. Experts blamed bad urban planning. What is your opinion? It is true. Bad urban planning in the two big cities has caused terrible traffic congestion. To solve this problem, cutting down the population density in the city centres by removing hospitals, universities and factories to the suburban areas was necessary. However, the moving plans in both cities have been slow. In Hanoi, some factories and plants moved out of the town but the land was used for constructing high-rise buildings and shopping malls which heaped more pressure on the city's traffic. For example, people have been suffering horrible traffic congestion every day at Nga Tu So intersection of Thanh Xuan district where a new residential area and shopping centre were built on land where a factory used to be. * Infrastructure has not developed as fast as the increase of personal means of transport. How will the traffic situation in Hanoi and HCM City next year develop? I think the two cities will suffer worse congestion in 2016 and 2017. My evaluation is based on the rapid increase of population and personal vehicles and incomplete metro and sky-train projects. A city with 1 million people must have a metro. But neither Hanoi with more than 7 million people and HCM City populated with 10 million people has an urban train. The number of personal vehicles has been increasing day by day. According to statistics, by November this year, there have been 43.9 million motorbikes and 2.6 million cars nationwide. Most of them are using in Hanoi and HCM City. The number has risen by 2.7 times against 2005. It means the number of personal vehicles rose 10 percent yearly while the infrastructure facilities have not considerably developed. * Hanoi plans to limit personal vehicles to ease congestion. Do you think the plan should be applied in Hanoi and HCM City? If applied, do you think motorbikes or cars should be limited? In my opinion, limits on personal vehicles in the two cities must be applied right now because there is not enough road for use. With the speed of population growth and personal vehicles in Hanoi and HCM City currently, we cannot wait until the year 2030 when the public transport systems are complete. Initially, personal cars must be limited because they take more space than motorbikes. Limits on motorbikes might wait until urban trains and metros are operating their main routes. Limits on cars may be applied in areas which usually suffer congestion in peak hours. * Do you think recent measures taken to ease congestion in Hanoi have been effective? Recently Hanoi decided to cut down some bus routes in rush hours and mobilise the mobile police force to instruct people in rush hours. However, these were temporary solutions.